So you’ve decided on starting automating your marketing. Great, you’ve taken your first step into a larger world. You’ve got yourself a solution that fits well with your organization’s needs and aims. Awesome. Now you just need to train up your team and get rolling with it. Right? More and more enterprises have taken to calling in the automation calvary. They hire additional individuals or contract specialized agencies to deal with the automation on their own, separate from the other in-house marketers. The question then becomes if you should train up your current team or call in the experts. 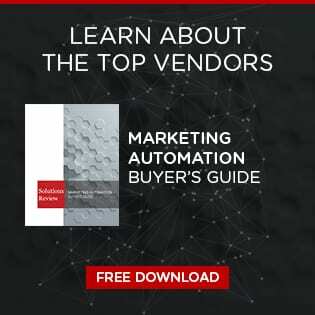 The biggest draw for hiring a new marketing automation specialist is the time-efficacy of it. Training is always something to consider if you’re not bringing outside help. You’ll need to make sure each of your legacy marketers has the solution mastered. Having an in-house expert eliminates that time investment by a wide margin. Experts hit the ground running and don’t stop until they retire. When you hire an automation professional, that’s all they do so they’re good at it from the word “go,” and only get better. Speaking of getting better, your automation won’t be the only thing improving if you hire a specialist. The rest of your marketers will get better at their jobs as well. In the same way, they have more time to work on creatives when they administer automation themselves, imagine how much more time they’ll have to improve if they don’t even have to manage the solution. You don’t have to imagine because the answer is that they will become an order of magnitude more productive. What about your peers? What are other companies doing with their automation efforts? A recent study by CleverTouch revealed that a surprising percentage of marketing teams are heading toward experts. 48 percent of those surveyed reported that they use a specific marketing automation employee to handle their solution related needs. 33 percent of those surveyed stated that they employ third-party professionals to take care of their automation. An automation professional is a high-skill worker and will demand a competitive salary. Similarly, a third-party agency will also command no small fee. This may or may not be fiscally realistic for your organization depending on your circumstance. For those enterprises who cannot afford to hire additional staff, it may be wise to create experts of your own. Those individuals may consider certification with their chosen vendors. These programs will turn a current employee into a martech master in their own right. The previously mentioned survey listed an overwhelming 70 percent of participants are either in the middle of this process or plan to start similar training shortly. The flipside to this is that these certifications can take time and some must be renewed periodically, a time investment that may not sit well with all employers. No matter which avenue you choose to take, it should be evident by now that automation, while straightforward, is best utilized as a specialized tool that requires some knowledge and training to use effectively. Click here to read more about possibilities for certifications. If you want to learn more about the automation survey, click here.